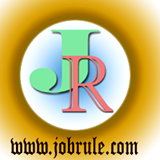 Bihar Combined Entrance Competitive Examination Board (BCECEB) is constituted under Bihar Combined Entrance Competitive Examination Act 1995 . BCECEB Conducts competitive examinations every Year for admission in various professional courses of Medical, Engineering and Agricultural streams in the institutions of the State of Bihar. BCECE Board invites Online Application from eligible and interested candidates for BCECE 2017 (Notification No -2017/01 Dated-12/02/2017) for various courses admission as mention below. Join India Army Next /Upcoming direct /Open Recruitment Rally Schedule Chart for Bihar State under Army Recruitment Office (ARO) Katihar (HQ RTG Zone Danapur). 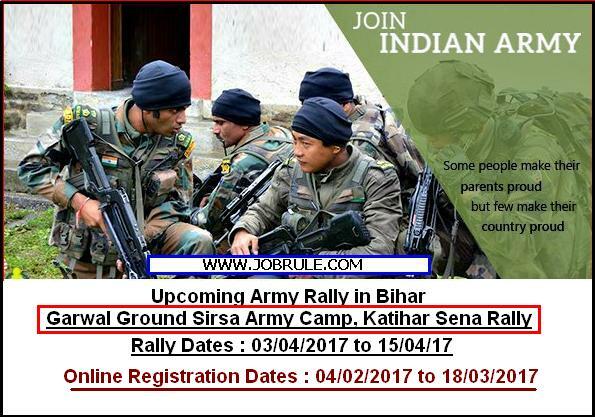 Indian Army going to conduct a Sidhi Sena Bharti Mela (Pre-Army ally Online Registration is mandatory) at Sirsa Garwal Army Ground (Katihar), Bihar on 3rd April to 15th April, 2017 (Tentative dates) to recruits thousands Military Personnel (Soldier GD, Tech, Sol Tdn, Sol Clk/Skt etc trades). 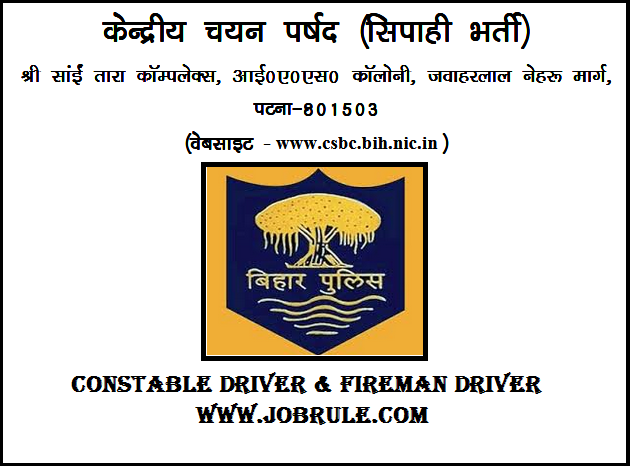 Interested and eligible candidates from Sonbhadra, Varanasi, Chandauli, Jaunpur, Mirzapur, Sant Ravidas Nagar, Saharsa, Purnia, Araria, Katihar, Khagaria, Kisanganj, Madhepura, Munger, Banka, Begusarai, Bhagalpur and Supaul districts of Bihar & Uttar Pradesh States may apply online through Join Indian Army official website between 4th February to 18th March 2017.